The NLRB issued another social-media decision last week, finding that an employer violated the National Labor Relations Act (NLRA) with respect to one “Facebook firing” but clearing the employer with respect to a second termination. I’ll leave it to my blogging cohorts to write about the termination that didn’t get the employer into trouble and will focus in today’s post just the one that did. The Facebook firing that landed the employer, a Maryland ambulance company, in hot water was in response to an employee’s comment, posted on a former co-worker’s Facebook page. The former co-worker, the complainant’s partner, posted on her Facebook page a note indicating that she’d been fired by the employer. The complainant, William Norvell, and others, posted comments in response. One of Norvell’s comments was a suggestion that his former co-worker get a lawyer and take the company to court. Later, he added that she also “could contact the labor board.” Someone turned over a printed copy of the posts to the HR Director who, after consulting with the COO, decided to terminate Norvell. The law (several laws, actually), prohibits this. It’s called retaliation. 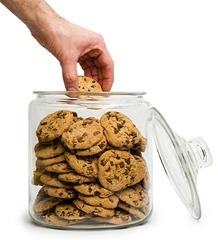 In non-legalese, I equate retaliation to telling a child he may have a cookie, holding out the cookie jar, and then smacking his hand when he proceeds to take one. You may not punish someone for doing what the law provides he may do. Applied in this context, the former co-worker certainly had a right to consult a lawyer. She also had a right to contact “the labor board,” whether that meant the state Department of Labor or the Regional Office of the NLRB. If her termination had been for lawful reasons, the lawyer, with any luck, would have told her so. So, too, would the DOL or NLRB. And, armed with that knowledge, she could move on with her life. But she had a right to investigate her legal rights either way. And, in turn, Norvell had a right to suggest or even encourage her to investigate those rights. Consequently, Norvell was engaging in protected legal activity for which he could not be “punished” (or, as we like to say in the law, “be subjected to an adverse employment action”). Butler Med. Transport, LLC, 5-CA-97810, -94981, and –97854 (Sept. 4, 2013).